Bio: Helen is a New York City native who has been dedicated to digital software for nearly as long as it’s existed. While she waited for computer technology to catch up with her coding skills, Helen passed her time as an Ivy League student. She earned a Bachelor of Science in Philosophy from Columbia and a Master of Theological Studies degree from Harvard Divinity School, all while working her share of odd office jobs. While at Harvard, she became fascinated with her first computer, a beloved Osborne. Soon, she was a full-blown digital devotee—not just an early adopter, but an early expert. When working with spreadsheets and word processing software became too passé for her advanced interests, she learned dBASE, one of the most popular database management programs in the first wave of computing technology. After six years as a corporate dBASE developer, Helen was laid off, but she didn’t let this stop her. She began working as an independent consultant and developer with dBASE, Paradox, ObjectVision, and WordPerfect. Helen met her computing match made in heaven when she beta tested Access 1.0. She’s been committed to making the most of Microsoft products since then—she’s been a Word wiz since version 1.1 and Outlook master since version 8.0 (one of its earliest forms). Helen’s extensive experience and capability to create innovative coding solutions continues to evolve with each new program released. Excel Consultant is proud to have Helen as one of our core team members. 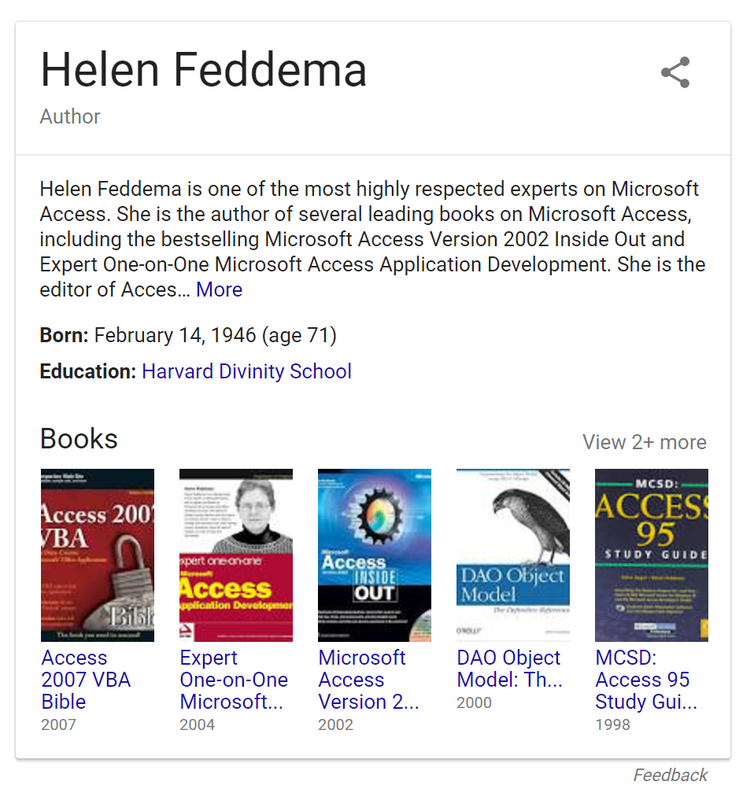 Accomplishments: Microsoft, her peers, and her many satisfied clients have all recognized Helen as one of the foremost authorities in her field. On Experts-Exchange, one of the top IT support sites, she has earned over a million points for helping users with questions relating to Microsoft Access Database, granting her the title “Genius.” She’s also garnered more than 500,000 points in Access Coding/Macros, making her a “Sage” in this field. As if that weren’t enough, she’s also composed hundreds of articles to help people use Microsoft programs better. Helen regularly pens pieces for Access Watch as “Access Archon,” befitting her mastery of this program (“Archon” is an ancient Greek word for “ruler”). She’s also contributed to a variety of other journals and newsletters. Would You Like Helen’s Help? 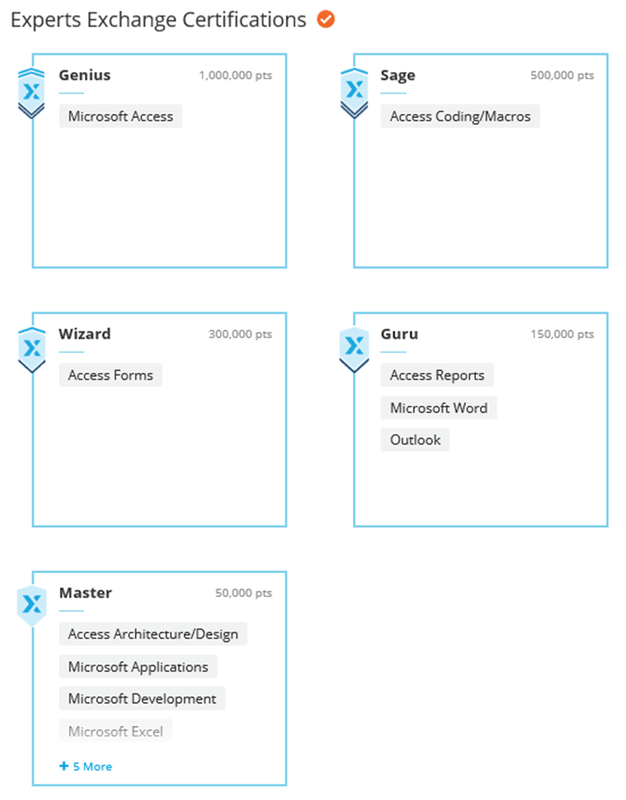 Excel Consultant’s very own “Access Archon” could help your company succeed with customized Microsoft solutions and consulting. Contact us today to find out more or schedule an appointment. Posted on October 1, 2015 Posted in Team Updates and tagged Software, Database, Query, Data, Microsoft.